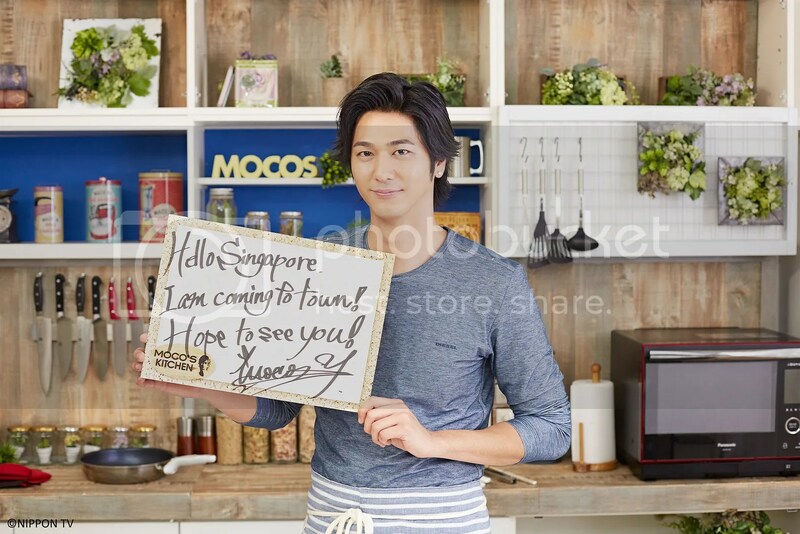 Get up-close and personal with Mocomichi Hayami, the charming host of popular cooking show MOCO’s Kitchen, as Asian entertainment channel GEM, invites him to Singapore for the first time ever exclusive fan meet on October 2! Famous for his leading roles in popular TV dramas such as 2005 live-action adaptation of manga series Gokusen 2 and Zettai Kareshi, the accomplished 32-year- old model-actor has also made his way into the hearts (or rather the stomachs) of fans as he showcases his culinary prowess in creating easy yet delicious gourmet recipes in MOCO’s Kitchen. This fan meet is only opened to Singtel TV subscribers. Visit GEM’s website by September 25 to stand a chance to win photo opportunities, fan meet passes and more. For more information, please visit GEM’s website and Facebook Page.